Breakfast Symposia are not part of the ISMICS scientific program and are not eligible for CME credits through the ISMICS joint sponsor, Cine' Med. Michael Gessat, PhD1, Christoph Russ2, Raoul Hopf2, Simon H. Sündermann, MD1, Sven Hirsch, PhD2, Edoardo Mazza, PhD2, Gábor Székely, PhD2, Volkmar Falk, MD, PhD1. 1University Hospital Zürich, Zürich, Switzerland, 2Swiss Federal Institue of Technology (ETH) Zürich, Zürich, Switzerland. Philipp Kiefer, Joerg Seeburger, David Holzhey, Marcel Vollroth, Thilo Noack, Friedrich W. Mohr. Shahram Lotfi1, Guido Dohmen2, Andreas Götzenich1, Marcus Haushofer1, Jan Spillner1, Rüdiger Autschbach1, Rainer Hoffmann3. 1Department of Thoracic and Cardiovascular Surgery, RWTH University Clinics Aachen, Aachen, Germany, 2Department of Cardiac, Thoracic and Vascular Surgery, St.-Johannes-Hospital, Dortmund, Germany, 3Department of Cardiology, RWTH University Clinics Aachen, Aachen, Germany. C2 Does Left Ventricular Hypertrophy Affect Outcomes in Patients Undergoing Transcatheter Aortic Valve Replacement? Nimesh Desai, Wilson Y. Szeto, Tyler Wallen, Saif Anwarrudin, Daniel Choudhary, Howard Herrmann, Joseph Bavaria. Saskia Pokorny1, Katharina Huenges1, Telse Bähr1, Huang D. Dai1, Martin Marczynski-Bühlow1, Michael M. Morlock2, Jochen Cremer1, Georg Lutter1. Joerg Kempfert1, Hendrik Treede2, David Holzhey3, Steffen Hoffmann4, Evaldas Girdauskas5, Holger Schroefel6, Matthias Thielmann7, Shahram Lofti8, Christoph Huber9, Andreas Holzamer10, Nicolas Doll11, Klaus Matschke12, Thorsten Wahlers13, Anno Diegeler14, Carlo Savini15, Nalian Schnelle16, Carla Agatiello17, Hermann Reichenspurner18, Friedrich W. Mohr3, Thomas Walther1. 1Kerckhoff Clinic Bad Nauheim, Bad Nauheim, Germany, 2University Heart Center Hamburg, Hamburg, Germany, 3Heart Center University of Leipzig, Leipzig, Germany, 4Heart Center Bad Rothenfelde, Bad Rothenfelde, Germany, 5Clinic for Cardiac Surgery Bad Berka, Bad Berka, Germany, 6Clinic for Cardiac Surgery Karlsruhe, Karlsruhe, Germany, 7West German Heart Center University of Essen, Essen, Germany, 8University Clinic Aachen, Aachen, Germany, 9University Clinic Bern, Bern, Switzerland, 10University Clinic Regensburg, Regensburg, Germany, 11Sana Clinic Stuttgart, Stuttgart, Germany, 12Heart Center University of Dresden, Dresden, Germany, 13Heart Center University of Cologne, Cologne, Germany, 14Clinic for Cardiac Surgery Bad Neustadt, Bad Neustadt, Germany, 15University Clinic Bologna, Bologna, Italy, 16University Clinic Mainz, Mainz, Germany, 17Hospital Italiano, Buenos Aires, Argentina, 18Heart Center University of Hamburg, Hamburg, Germany. Jan P. Gundlach, Saskia Pokorny, Telse Bähr, Jawid Madjidyar, Huang D. Dai, Martin Marczynski-Bühlow, Jochen Cremer, Georg Lutter. CMP5 DA-TAVI (Direct Aorta Ascending Approach in TAVI")"
Gry Dahle, MD, Kjell Arne Rein, MD. CMP6 Valve-in-valve concept - A single center experience for redo aortic valve therapy. Philipp Kiefer, David M. Holzhey, Axel Linke, Gerhard Schuler, Joerg Seeburger, Marcel Vollroth, Friedrich W. Mohr. 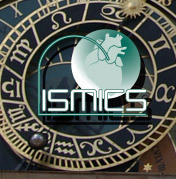 Luncheon Symposia are not part of the ISMICS scientific program and are not eligible for CME credits through the ISMICS joint sponsor, Cine' Med. David Stecher, Gerard Pasterkamp, Lex A. van Herwerden, Marc P. Buijsrogge. Minoru Ono1, Yoshifumi Itoda1, Panthee Nirmal1, Takehiro Ando2, Ichiro Sakuma2. 1The University of Tokyo Hospital, Tokyo, Japan, 2The University of Tokyo, School of Engineering, Tokyo, Japan. Patrick Walker, William T. Daniel, Henry A. Liberman, Chandan Devireddy, John D. Puskas, Vinod H. Thourani, Michael E. Halkos. Kamellia Dimitrova, Gabriela Dincheva, Helbert DeCastro, Darryl Hoffman, Charles Geller, Robert Tranbaugh. Mani Arsalan, Anke Gitschmann, Johannes Blumenstein, Arnaud Van Linden, Sebastian Szardien, Helge Möllmann, Thomas Walther, Jörg Kempfert. Bob Kiaii, Stuart Swinamer, Stephanie Fox, Larry Stitt, MacKenzie Quantz, Michael Chu, Ray Guo, Richard Novick. London Health Sciences Center, London, ON, Canada. Gianluigi Bisleri1, Laura Giroletti1, Bruno Guarneri2, Faisal H Cheema3, Claudio Muneretto1. 1Division of Cardiac Surgery - University of Brescia Medical School, Brescia, Italy, 2Section of Neurophysiopathology-Spedali Civili di Brescia, Brescia, Italy, 3Division of Cardiothoracic Surgery - Columbia College of Phisicians & Surgeons, New York, NY, USA. Gianluigi Bisleri, MD, Claudio Muneretto, MD. University of Brescia Medical School, Brescia, Italy. Prem Rabindranauth1, Kara J. Kallies2. 1Gundersen Lutheran Health System, La Crosse, WI, USA, 2Gundersen Lutheran Medical Foundation, La Crosse, WI, USA. Giuseppe Nasso1, Vito Romano1, Mario Siro Brigiani1, Raffaele Bonifazi1, Francesco Bartolomucci2, Giuseppe Speziale1. CMP12 Mid Term Results Of The Minimally Invasive Surgical Ablation of Persistent and Permanent Atrial Fibrilation. Martin Michel, Stepan Cerny, Jozef Petrus, Jan Petru, Petr Neužil. Na Homolce Hospital, Prague, Czech Republic. Timo Weimar, Martina Vosseler, Markus Czesla, Vladimir Voth, Wolfgang Hemmer, Nicolas Doll. Sana Cardiac Surgery Stuttgart, Stuttgart, Germany. Claudio Muneretto, Gianluigi Bisleri, Fabrizio Rosati, Luca Bontempi, Antonio Curnis. Washington University, Saint Louis, MO, USA. Andy C. Kiser, Hayden Pappas, Kelly Garner, Anil Gehi, John Paul Mounsey. Husam H. Balkhy1, Margot Vloka2, Peter Chapman2. 1Medical College of Wisconsin, Milwaukee, WI, USA, 2The Wisconsin Heart Hospital, Milwaukee, WI, USA. Friederike Schlingloff, Martin Oberhoffer, Ines Quasdorff, Michael Schmoeckel, Stefan Geidel. Asklepios Klinik St.Georg, Hamburg, Germany. Harold G. Roberts, M.D.1, Muhammad J. Younus, M.D.2, Muhammad A. Mahmood, M.D.2, Robert A. Dickson3, Douglas Seith4, Faisal H. Cheema, M.D.5, James L. Cox, M.D.6. 1Holy Cross Hospital - Jim Moran Heart and Vascular Center, Fort Lauderdale, FL, USA, 2Aegis Cardiovascular Research Foundation, Fort Lauderdale, FL, USA, 3Atricure, West Chester, OH, USA, 4Atricure, west Chester, OH, USA, 5College of Physicians and Surgeons of Columbia University - New York Presbyterian Hospital, New York, NY, USA, 6Washington University in St. Louis, LaGrange, KY, USA. Paul F. Grundeman, MD, PhD1, Pieter W. J. Lozekoot, MD2, Gerard Pasterkamp, MD, PhD1, Jos G. Maessen, MD, PhD2, Paul B. Kwant, PhD2. 1Utrecht University Medical Center, The Netherlands, Utrecht, Netherlands, 2Maastricht University Medical Center, The Netherlands, Maastricht, Netherlands. Khalil Fattouch1, Giuseppe Nasso2, Giuseppe Bianco1, Sebastiano Castrovinci3, Giacomo Murana3, Pietro Dioguardi1, Francesco Guccione1, Giuseppe Speziale2. 1Department of Cardiovascular Surgery, GVM Care and Research, Maria Eleonora Hospital, Palermo, Palermo, Italy, 2Department of Cardiovascular Surgery, GVM Care and Research, Anthea Hospital, Bari, Bari, Italy, 3Department of Cardiovascular Surgery, University of Bologna, Bologna, Italy. Simon H. Sündermann, Jürg Grünenfelder, Michael Gessat, Patric Biaggi, Christian Felix, Dominique Bettex, Roberto Corti, Volkmar Falk. Nikolaos Bonaros, Fabian Plank, Guy Friedrich, Thomas Bartel, Silvana Mueller, Anneliese Heinz, Thomas Schachner, Ludwig Mueller, Michael Grimm, Gudrun Feuchtner. Evening Symposia are not part of the ISMICS scientific program and are not eligible for CME credits through the ISMICS joint sponsor, Cine' Med. "Valve-in-valve in the Mitral Position"
C14 Can Cardiac Surgeons Safely Initiate and Practice Minimally Invasive Coronary Artery Bypass Grafting? Dai Une, Harry Lapierre, Benjamin Sohmer, Vaneet Rai, Marc Ruel. Prem Rabindranauth1, Jacob G. Burns2, Todd T. Vessey1, Michelle A. Mathiason2, Kara J. Kallies2, Venki Paramesh1. Nikolaos Bonaros1, Markus Kofler1, Benedikt Hofauer1, Guy Friedrich1, Johannes Bonatti2, Thomas Schachner1. 1Innsbruck Medical University, Innsbruck, Austria, 2Cleveland Clinic Abu Dhabi, Abu Dhabi, United Arab Emirates. Vadim Popov, Kirill Kozyrin, Egor Malyshenko, Vladimir Ganyukov. CMP20 Minimally Invasive Hybrid Revascularization (MIHR) in patients with Multi-vessel Coronary Disease (MVD): Mid-term Results. Alberto Repossini1, Maurizio Tespili2, Antonio Saino2, Igor Kotelnikov1, Lorenzo Di Bacco1, Claudio Muneretto1. 1University of Brescia Medical School, Brescia, Italy, 2Azienda Ospedaliera Bolognini, Seriate, Italy. Marie AYMAMI1, Erwan Flécher1, Olivier Fouquet2, Thierry Langanay1, Jean-Philippe Verhoye1, Hervé Lebreton3, Alain Leguerrier1, Hervé Corbineau1. 1Chirurgie cardiothoracique, Rennes, France, 2Chirurgie cardiothoracique, Angers, France, 3Cardiologie Interventionnelle, Rennes, France. Bob Kiaii, Christopher Harle, Wojciech Dobkowski, Ivan Iglesias, Bernie Mezon, Michael Chu, Kumar Sridhar, Patrick Teefy. William T. Daniel, Henry A. Liberman, John D. Puskas, Chandan Devireddy, Wissam Jaber, Robert A. Guyton, Michael E. Halkos. Children's Hospital of Qingdao Univercity, Qingdao, China. Children's Hspital of Qingdao University, Qingdao, China. Da Zhu, M.D, Ke Lin, M.D. Patrick M. Poston, BS, Nicholas O. Rossi, MD, James E. Davis, MD, Joseph W. Turek, MD, PhD. Jeremy McGarvey, Norihiro Kondo, Manabu Takebe, Toru Shimaoka, Satoshi Takebayashi, Walter R.T. Witschey, Gerald A. Zsido, II, Joseph H. Gorman, III, James J. Pilla, Robert C. Gorman. Roberto Rodriguez, MD, Francis P. Sutter, DO, Louis E. Samuels, MD, Daniel Ice, MD, Susan Morrissey, Kathleen M. Holzerman, RN, Scott Goldman, MD. L. Wiley Nifong, Hazaim Alwair, Douglas Parker, Dhagash Patel, W. Randolph Chitwood, Jr.
East Carolina Heart Institute, Greenville, NC, USA. Antonio Miceli, Michele Murzi, Danyiar Gilmanov, Matteo Ferrarini, Raffaele Fugà, Alfredo G. Cerillo, Stefano Bevilacqua, Simone Simeoni, Pier A. Farneti, Marco Solinas, Mattia Glauber. Günther Laufer, Dominik Wiedemann, Amit Vadehra, Raphael Rosenhek, Thomas Binder, Alfred Kocher. Giovanni Concistrè1, Steffen Pfeiffer1, Giuseppe Santarpino1, Francesca Chiaramonti2, Antonio Miceli2, Marco Solinas2, Mattia Glauber2, Theodor Fischlein1. Jan-Philipp Minol, Udo Boeken, Tobias Weinreich, Hildegard Gramsch-Zabel, Payam Akhyari, Hiroyuki Kamiya, Artur Lichtenberg. Amine Mazine, Michel Carrier, Antoine Rochon, Denis Bouchard. L. Wiley Nifong, MD, Stuart Bumgarner, Pooja Sarin, Hazaim Alwair, MD, W. Randolph Chitwood, Jr., MD. Giuseppe Nasso1, Vito Romano1, Mario Siro Brigiani1, Raffaele Bonifazi1, Francesco Bartolomucci2, Giuseppe Speziale3. 10:45 - 11:15 Debate: Sutureless Aortic Valves - Has The Train Left The Station? Paul C. Tang, Mark W. Onaitis, Jeffrey G. Gaca, Carmelo A. Milano, Donald D. Glower. Arthur C. Hill, M.D.1, Michael Lesh, M.D.2, Alexander Khairkhahan2. 1University of California, San Francisco, San Francisco, CA, USA, 2Middle Peak Medical, Palo Alto, CA, USA. Gabriele Di Giammarco, Carlo Canosa, MD, Massimiliano Foschi, MD. University of Chieti, Chieti, Italy. Franciscan St Francis Heart Center, Indianapolis, IN, USA. Hassina Baraki, MD, Shunsuke Saito, MD, Bernhard Fleischer, Ulrich Molitoris, Ammar Al Ahmad, Axel Haverich, Ingo Kutschka. CMP34 Can the Learning Curve of Totally Endoscopic Robotic Mitral Valve Repair be Short- Circuited? Maria J. Salas, Orlando Santana, Francisco Y. Macedo, Gerson Valdez, Gervasio Lamas, Joseph Lamelas. Mount Sinai Heart Institute, Miami Beach, FL, USA. CMP37 Minimally Invasive Approaches Converted In Full Sternotomy: What About Outcomes? Francesca Chiaramonti, Andrea Farneti, Matteo Ferrarini, Stefano Bevilacqua, Antonio Miceli, Marco Solinas, Mattia Glauber.